Communicating Differently: Intimate Relationships With Adults Who Have Asperger's, Part I | Kenneth Roberson, Ph.D.
Communication barriers are typical, but not insurmountable, features of intimate relationships with Asperger adults. Communication is essential to every relationship. It provides the necessary ingredients for transforming relationships into intimate partnerships. Communication is, however, a central problem for adults with Asperger’s syndrome. They have a tendency to talk “at”, rather than, “to” others. Typically they have limited interest in what others think and feel. Their motivation to be sociable is narrow, as they fear the complexities of relationships will reveal their interpersonal mistakes and lead to rejection. Generally, they shy away from the give-and-take of a close, ongoing relationship. Yet, many adults with Asperger’s are interested in being with other people. Many form romantic attachments engage in getting to know the person they like and eventually settle into long-term affiliations. What happens then? What kind of communication occurs between adults with Asperger’s and their non-Asperger’s partners, often referred to as neurotypicals (NT)? Where does this communication lead? And what obstacles occur when one person seeks emotionally engaging, mutually connected interactions, and the other doesn’t? A recent study of intimate relationships between adults with Asperger’s and their NT partners sheds light on the communication difficulties that transpire in these relationships. Prompts are used in every relationship to encourage a desired response from the person one is communicating with. They are used even more frequently by NT partners who lack the feeling of being understood, validated and cared for, as a means of promoting closeness with their Asperger’s partners. 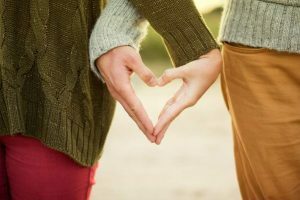 The study found that many couples develop a cycle wherein the NT partner tries various ways of encouraging effective communication to which the Asperger’s partner responds by avoiding that sort of conversation. The NT person tries again to facilitate better communication and connectedness only to be met with a negative reaction to such encouragement. The NT partner tries harder and the Asperger’s partner reacts more negatively. The result is a cycle of prompting and resistance, a frustrating, debilitating dynamic for both parties. I mean, it’s a weird feeling to sit and be absolutely distraught and crying and have him change the subject and say, “I saw the most amazing engine the other day.” You are in the middle of this terrible crisis and breaking your heart, and he is telling you about nuts and bolts. I mean, that defies all reasoning. So you don’t talk to people about that. The struggle to communicate and the need not to is an enduring feature of relationships between adults with Asperger’s and their neurotypical partners. In my next blog, I will describe more of the dynamics that typically occur in these relationships, including the strategies adults with Asperger’s use to obstruct emotional closeness and the methods their neurotypical partners rely upon to counteract these efforts. This is exactly my experience with my soon-to-be-ex-husband. It is too bad because he is a nice enough person. He just can’t engage, and I’ve had enough of being blown-off and alone. I wish you the best as you transition out of an unhappy relationship and, hopefully, one that gives you the satisfaction and happiness you long for. I have Aspergers and I don’t know if my partner does or not. Sometimes he says something to me and I don’t respond because I don’t know what to say, and he seems to expect an immediate response. Other times I am prompting him to talk and he just refuses. He shuts down and says he doesn’t want to talk about it, or even talk at all. Then I feel shut down or shut out.